The Miss America 2017 Pageant is currently underway in Atlantic City, New Jersey where the winner will be crowned on Sunday night. As always, the preliminaries will be held over 3 consecutive nights with the 3 groups rotating between the Onstage Question, Lifestyle and Fitness and Talent Rounds. 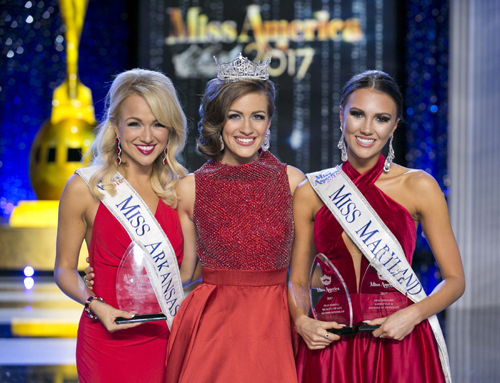 On the second night of the preliminaries, Miss Maryland, Hannah Brewer was named the winner of the Lifestyle and Fitness Award. Shavvy Shields of Arkansas won the Talent Round.